Work your way to a better outlook in 30 days. April is National Financial Literacy Month and to help consumers expand their knowledge and achieve a better outlook, Consolidated Credit created a 30-day action plan. It’s designed to help you build your understanding of key financial topics and then take actions related to each topic. Whether you use this plan during the month of April or anytime you need a little brush-up on your finances, we hope this check list will help you get where you need to be. Also keep in mind that the tips below are most effective if you’re starting from a point of relative financial stability. If you’re already struggling, you may need to overcome your current challenges before you can follow the strategy outlined below. Call us at 1-888-294-3130 to speak with a certified credit counselor for free. Calculate your monthly income. It’s key to your budget, as well as calculating several key financial ratios, such as your debt-to-income ratio and personal savings rate. It’s also useful to expedite things like new credit applications. Make a bill calendar OR set an auto-pay schedule. Set dates where bills get paid every month so you ensure you have funds allocated, or set up the payments to disburse automatically at the right times if you use online or mobile banking. This will ensure you space your bills out strategically around your paychecks so you don’t have cash flow problems. Find one unnecessary expense to cut. 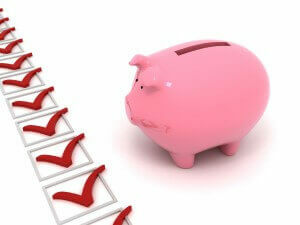 Discretionary expenses are the “wants” in your budget – all those things you buy regularly that you don’t really need. 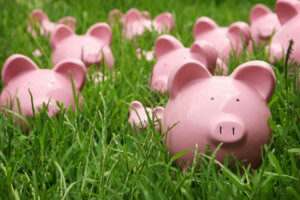 Find one unnecessary expense that you can cut out to increase your cash flow. Set spending targets for 3 non-bill expenses. Review your transactions over the past 1-3 months to see how much you spend on food, fuel for your car, and entertainment. Then set reasonable limits in each category to prevent overspending. Find one spending leak to close. Spending leaks occur when you’re spending more money than you need to be on a necessary expense. For instance, eating out too much will increase your food budget, or picking up a morning coffee at the gas station may be added into your fuel costs. Identify one leak and close it to increase your cash flow. Calculate your personal saving rate. Divide the amount of money you set aside each month by your monthly take-home income; ideally you should be saving at least 10%. 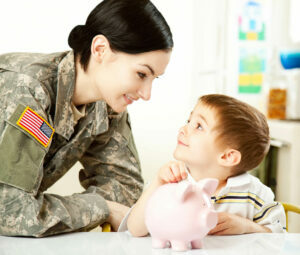 Assess your financial safety net. Experts recommend you need savings to cover at least 3-6 of bills and budget expenses in case you get laid off or face other challenges. Assess what you’d need if you had no income coming in, then set that as the minimum target amount you should have in your main savings account at all times. Check the interest rate / growth on your main savings account. If you see your money is barely growing month after month, then consider shopping around for new savings or Money Market Account. Make a plan for one investment this year. 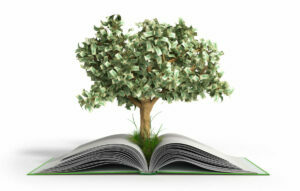 Allocate savings to generate the deposit on a new savings account or the money needed to take out a new bond or CD. Then see how much you need to set aside and start saving for that goal. Set up savings for one major purchase you want in the next 6 months. Want a new TV or need a new mattress this year? Instead of using a credit card or relying on in-store financing options, allocate some of your monthly savings to save up so you can make that purchase in cash once you have the funds available. Evaluate your yearly utility costs. Utility costs like electricity and even water usage can vary widely throughout year, which can cause problems for your budget when your bills hit their yearly peak. Review last year’s bills so you can plan effectively for this year. Review your mobile plan. Make sure you’re using all of your data OR not going over your data for extra charges. You should also check all of added fees and monthly charges that get tacked onto your bill. If necessary call your provider to adjust your plan OR ask about any special discounts or new plan they may have available. Give you’re a little love to your car. Take today to check the tire pressure in your wheels, clean out any heavy junk in your back seat or trunk that increases weight, and even take your vehicle in for an oil change. All of these actions decrease your fuel consumption costs to help you budget. Improve your home energy consumption. Replace the bulbs in your home with energy efficient options, lower the temperature setting on your water heater, clean out your dryer vents, and check windows and doors for gaps and leaks. This will all help cut your energy bills. Review the fees on all of your accounts. You may be spending a few dollars every month that you don’t need to be on fees that you either incur because of an error or adjustment you need to make, or because you don’t have the right features set up on your account. Divide your direct deposit to help you budget and save. If your paychecks are deposited directly to your account, most companies allow you to divide where the money gets sent between multiple accounts. You can send some of your money directly to savings to ensure you meet your targets or even split your income between a joint and individual checking account if you have multiple accounts. 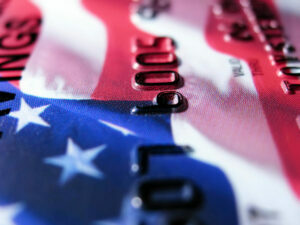 Review cash-back credit card agreements for bank account tie-ins. Some cash-back reward credit cards offer bigger cash-back amounts or added benefits for moving the money you get back into a bank account with the same provider (Chase, for example). If so, you may want to consider opening an account that maximizes your cash-back benefits. Review your policies to ensure you’re covered – and how much you’ll pay. This is particularly important as it relates to visits to specialists, prescription costs, and – most especially – to ER visits. You want to know exactly what deductibles you’ll pay and make sure you’re covered for anything that can happen. Assess your prescription costs. Do a little research to find out if there are cheaper alternatives to the drugs you’re taking. Often doctors promote the latest, greatest (and most expensive) pharmaceuticals when tried and true older versions are available for much less. Check into preventative care rebates. In today’s new healthcare system, many insurers are offering discounts or rebates on preventative care, such as a yearly physical or mammogram. See if you’re eligible and make the appointments to get a little cash back in your pocket. Download free copies of your credit reports. By law you are allowed to review your credit report from each of the three main credit bureaus once every year. If you haven’t done so in the last twelve months, go to www.annualcreditreport.com to download all three reports for free. Review your credit reports for errors and discrepancies. Specifically, you want to focus on any negative items that are impacting your credit. This includes late payments, overdrawn or charged-off accounts and collections. These may be correct, but in some cases they’re actually errors. If you find errors, you need to go through the credit repair process. Check your credit score. Your credit score won’t be included in the free report you download in the earlier task, so you can either sign up for a full free credit monitoring service or sign up for a paid service with a free trial and then decide before the trial is up whether you wish to cancel or not. Review your credit card interest rates and terms. Learn which cards have the highest interest rates and which have the lowest so you can strategically manage your debt payments and prioritize paying off the debts with the highest interest rates. Also identify if you have any accounts moving from introductory terms to standard terms, since interest rates and fees may change when this occurs. 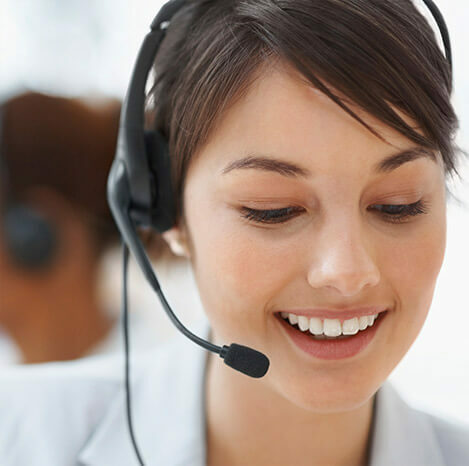 Call accounts in good standing to negotiate lower APR. If you have accounts that have always been maintained in good standing and you have a decent credit score, you may be able to call individual creditors to negotiate for lower interest rates on those accounts. Check the credit utilization ratio on each account. This compares your current balance to the total available credit line. Ideally (i.e. to maximize your credit score) you only want to utilize around 20% of each available credit line you have. If you have cards with higher utilization, craft strategies to pay off or consolidate the debt. Assign specific credit cards for specific purchases. Designate credit cards for specific purchases based on the rewards you can earn and the interest rate on each card. Rewards credit cards (cash-back, gas miles, travel miles, etc) need to be paid off in-full every month or you just offset everything you earn. Purchases that will take a while to pay off should be put on your card with the lowest interest rate. Review your employer’s 401(k) program – pay attention to matching! Often employers don’t notify employees when they become eligible for the company 401(k) plan. See if you’re eligible, sign up and make sure to take advantage of employer match programs – this is where your employer agrees to match your contributions (usually up to a certain percentage). Don’t waste this chance at “free money” to bolster your retirement strategy. Open an IRA or myRA. Whether you have a 401(k) or not, supplementing your retirement strategy with an private or personal retirement account is a good strategy. Open the account and set up recurring monthly contributions – even a small monthly amount will make headway in long-term saving. If you already have an IRA, then review your mutual fund spread to make sure your money earning the most possible for you. If you’re struggling with debt or facing a budget that’s out of balance, it can prevent you from crafting effective strategies and even getting the maximum benefits of the 30 tips you see above. We can help. Call Consolidated Credit today at 1-888-294-3130 to talk about the challenges you’re facing with a certified credit counselor for free. You can also use our online application to tell us about your situation and we’ll be in touch with some recommendations to help you get back on the right financial path.